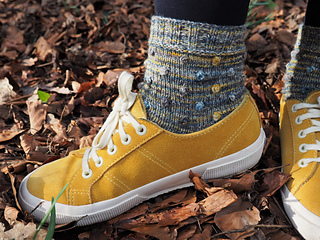 With small, easy to work bobbles, reminiscent of the first buds of spring, the Burgeon Socks combine whimsical texture with a healthy dose of plain knitting for a pair of socks that will fly off the needles! 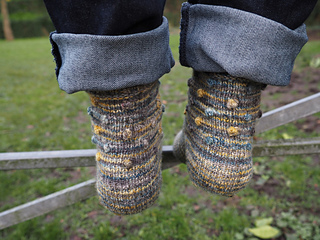 The pattern includes directions for knitting the socks from the cuff down or the toe up and options for an afterthought heel or heel flap and gusset (for the cuff down version only). 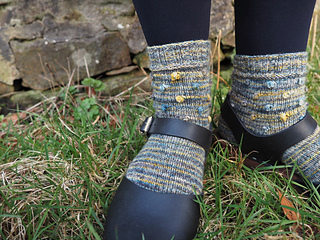 The sample was knit in stunning Retrosaria Mondim, a non-superwash, 100% Portuguese wool sock yarn, named for a Portuguese village that was once famous for its sock knitting cottage industry. The sculptural bobbles work well with subtly variegated or speckled yarns, but also shine in solid colors. 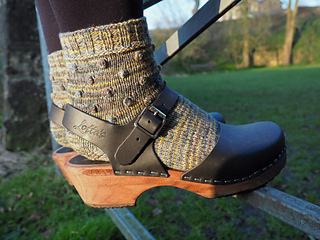 I hope your finished socks put a spring in your step, no matter the season! 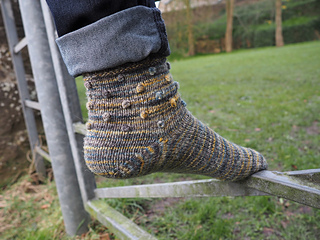 With their simple texture and plain stockinette, the Burgeon Socks are suitable for confident beginner sock knitters, but also great if, like me, you like knitting plain socks, but need a little something to keep you engaged! Rather than offer an introductory discount, for the first month of the pattern’s release, I’ll be donating 15% of all sales to RAIS Lancaster, an organization local to me that provides advocacy, information, and support for refugees in the community.